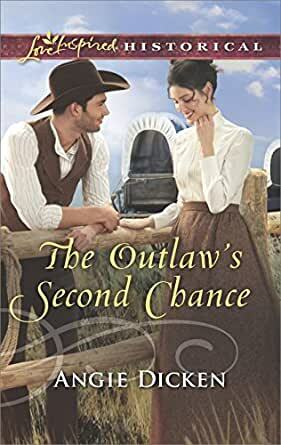 The Outlaw's Second Chance (Love Inspired Historical) - Kindle edition by Angie Dicken. Religion & Spirituality Kindle eBooks @ Amazon.com. When Cort Stanton and Aubrey Huxley try to claim the same land in the Oklahoma Land Run, Cort offers a deal—one that could help him keep his freedom. After taking the blame for his brother’s crime, Cort needs to lie low, so he gives Aubrey the land for her horse ranch…if she’ll hire him. Now he just has to avoid growing too close to the gorgeous seamstress, who can never know his secret. Aubrey refuses to depend on any man, even one as handsome and kind as Cort. Yet, as they work together to make her dream a reality, it’s impossible to imagine life on the prairie without him. And though Aubrey knows Cort has secrets that stand between them, she can’t help but wish she could stake a claim on his heart. 5.0 out of 5 starsEloquent, engaging, and altogether endearing! Dicken’s debut is eloquent, engaging and altogether endearing. Cort is a man to admire and Aubrey has a strength and determination that makes you want to work the land right along side her. There was something so sweetly perfect about their dynamic. And colored by Dicken’s artistic pen, the characters and the Oklahoma landscape became a vibrant reality. With an ease and grace of a seasoned word-weaver, Angie has stitched together a beautiful tale of grit, hope, and healing that will leave you utterly ensnared. An excellent debut! 5.0 out of 5 starsA great historical novel! 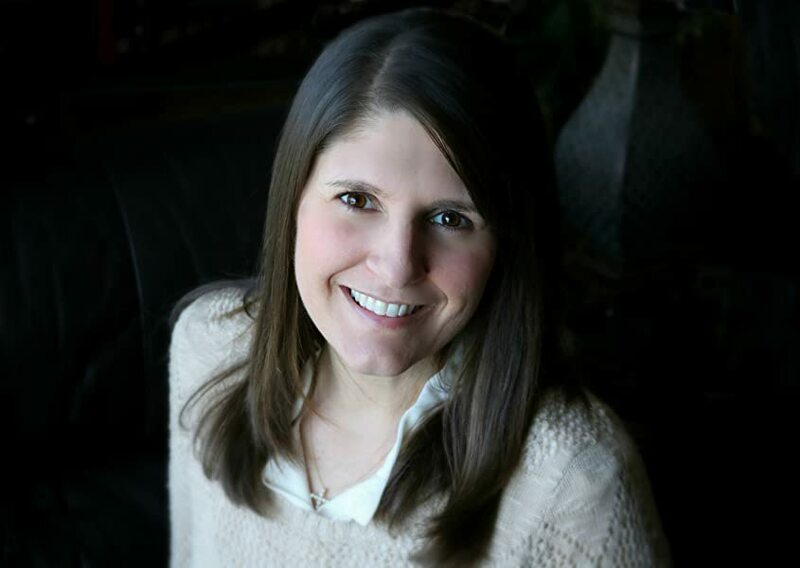 What a great debut novel by Angie Dicken! I thoroughly enjoyed this historical novel about the Oklahoma Land Run. The author wove history and a sweet love story together beautifully. I look forward to reading more by Angie Dicken. 4.0 out of 5 starsGive The Outlaw's Second Chance a chance! "Instead of upheaving his secret past, she'd unveiled his dependence on God's grace. And for some reason, that was enough.."
The Outlaw's Second Chance by Angie Dicken impressed this reader with a very well thought-out premise. He attempts to outrun his past, while she try to run towards a future that stemmed from the past. I love how it's a message of seeking their own dreams, not others, but also trying to find their own identity in God's eyes. There's much to say about striving for a dream that God had placed in our hearts, a dream that is solely ours. The message beautifully choregraphed throughout. Our main characters have that spark that I enjoy in books, and in this novel, their spark also gave their character strength. It contintued to developed through the pages, allowing readers to really get to know them. Yet, I think in many aspects, I wished for a little more about others. Surprising for sure, even for me. I think it's because the author penned quite a solid setting that I wish to know more about others in the area. In all, The Outlaw's Second Chance doesn't need a second chance, it's just right the way it is and readers better grab it the first chance they get. ". . . always admit when I'm wrong. . . it was a safeguard to fewer mistakes in the future." Disclaimer: I received a digital copy of this book from the author/publisher. I was not required to write a positive review, and have not been compensated for this. This is my honest opinion. For this type of book, it was fairly well done. A little slow to start for my taste. What I liked: I liked Aubrey's determination to succeed--she wasn't willing to cheat to get the land she wanted even though she could have, she was willing to work hard as well as to work in an area she was skilled in (sewing) to pursue her dream, she was willing to take care of her brother even though he wasn't the most honest person as well as being the person who endangered her own dreams. I liked Cort's manners--he was willing to work for a woman, he took a murder charge for his brother to try to protect his brother's family, he was willing to help neighbors and to barter for work and goods. I liked that the romance between the two grew slowly as they worked together. For Cort Stanton and Aubrey Huxley, the Oklahoma Land Run is a chance for freedom. For Aubrey, it's freedom from no-good father. For Cort, it's freedom from a jail cell for a crime he didn't commit. When they try to claim the same piece of land, Cort agrees to let Aubrey have it if she just agrees to let him work it. It's a deal that gives Aubrey what she desperately wants, and allows Cort to keep a low profile. As the two learn to work together, they grow closer. But Cort knows his past could catch up with him and force him to leave, and Aubrey refuses to end up depending on a man the way her mother did. This is a sweet story that features strong Christian characters. It's an entertaining read, but it felt a little drawn out. I found myself skimming through some of the internal thoughts of the characters, as it was usually them reminding themselves why they shouldn't pursue each other. Other than that, it's a good read.